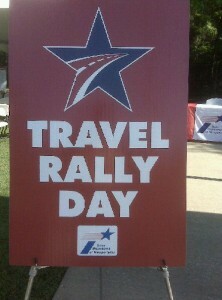 The Texas Travel Day Rally is rotated around the state and held at a different Welcome Center each year. It was good to see our friends from the Marshall Convention and Visitors Bureau, the Kilgore Rangerettes Museum, the Texas Forest Trail Region and to make new friends with groups like the Jacksonville Convention ad Visitors Bureau. 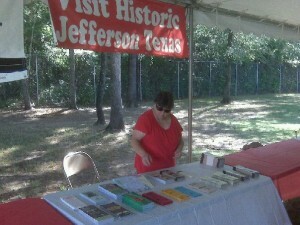 We were able to share information about Jefferson to a large number of travelers. The travelers were also able to view live Texas Longhorns, take part in a rod & reel casting event and enjoy entertainment from Alabama-Coushatta Indian Tribal Dancers and the Marshall Mavettes Drill Team. May is also National Preservation Month and to celebrate the Texas Historical Commission is holding a series of workshops around the state. Jefferson was fortunate to be chosen as a host for one of these events. Attendees to the workshop were able to learn about methods and resources to attract visitors to their community through heritage tourism. This was accomplished through a mix of morning speakers and an afternoon of “break-out” round robin type discussions. Attendees to this workshop were able to head back to their communities with new resources in their heritage tourism tool kit. Last Tuesday was a big day for a small staff and thanks goes to our Admin Assistant Paula Youngblood and our passionate, high energy Jeffersonians who volunteered to help, we could not have done it without you! JEFFERSON- Celebrate Mardi Gras Texas style in the historic riverboat town of Jefferson, Texas. 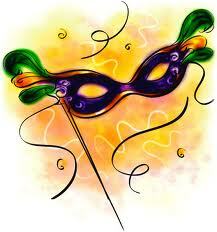 Jefferson’s first Mardi Gras celebration was in 1871, when Jefferson was a riverboat trading partner with New Orleans. Come celebrate the tradition this weekend, February 8th, 9th and 10th. A multitude of events are scheduled for the three day weekend including parades and music. Nacogdoches, Texas – The Texas Forest Trail Region announced the new slate of officers and board members for the 2015 fiscal year at the 4th quarter board meeting, held September 2, in Nacogdoches. Grapeland- The Queen City of the Sand Flats will be a picker’s paradise beginning Thursday, August 30, through September 2 Salmon Lake Park will be hosting its 36thAnnual Labor Day Weekend Bluegrass Festival and Main Street will be transformed into a garage sale avenue. 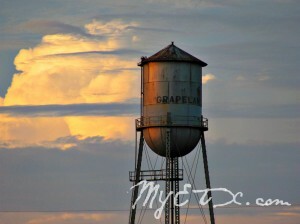 So whether you are looking for some bluegrass music this Labor Day weekend or a chance to haul off some treasures, Grapeland is where the pickers will be.